The DXLink HDMI Fiber Receiver features built-in SmartScale® Technology to deliver HDMI with HDCP that is perfectly scaled for each connected display automatically, eliminating the integration challenges that can occur when sources and displays have different optimal resolutions. 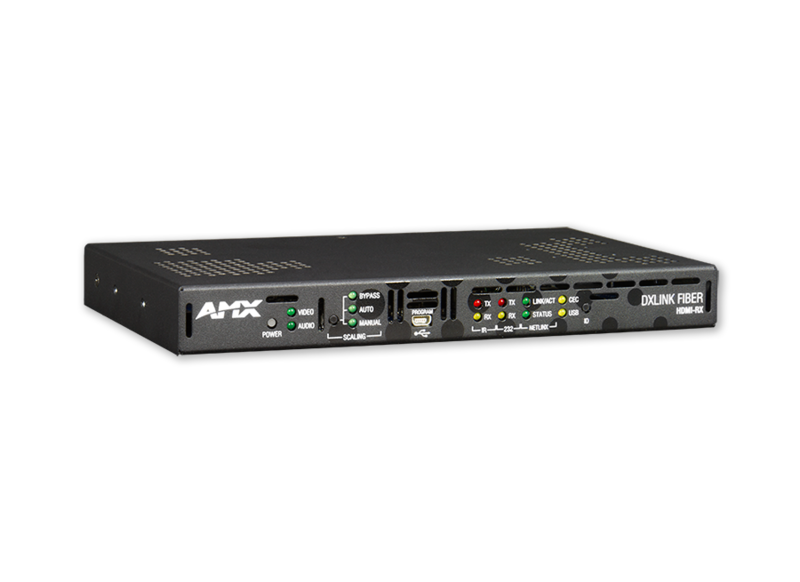 It accepts audio, video, control and Ethernet over multimode fiber from up to 300 meters. 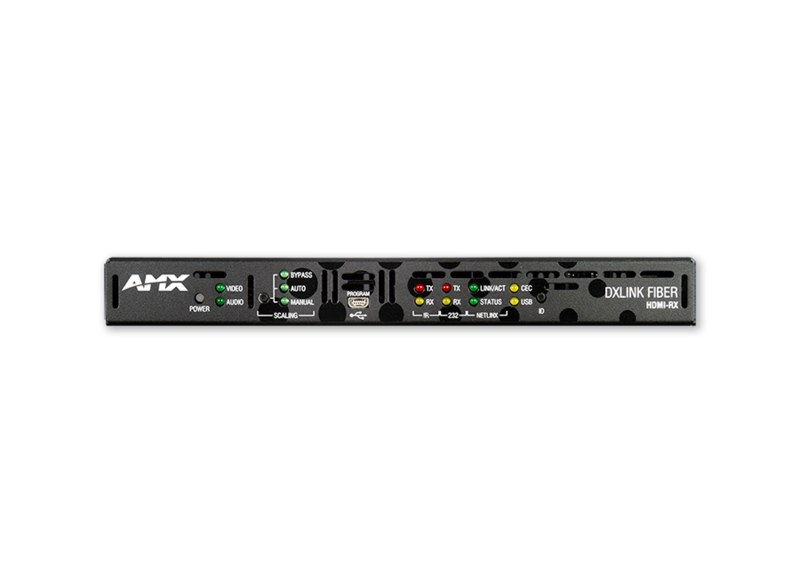 Mount the low-profile DXLink Fiber Receiver behind a display or above a ceiling mounted projector and control it using the built in RS-232 or IR ports. 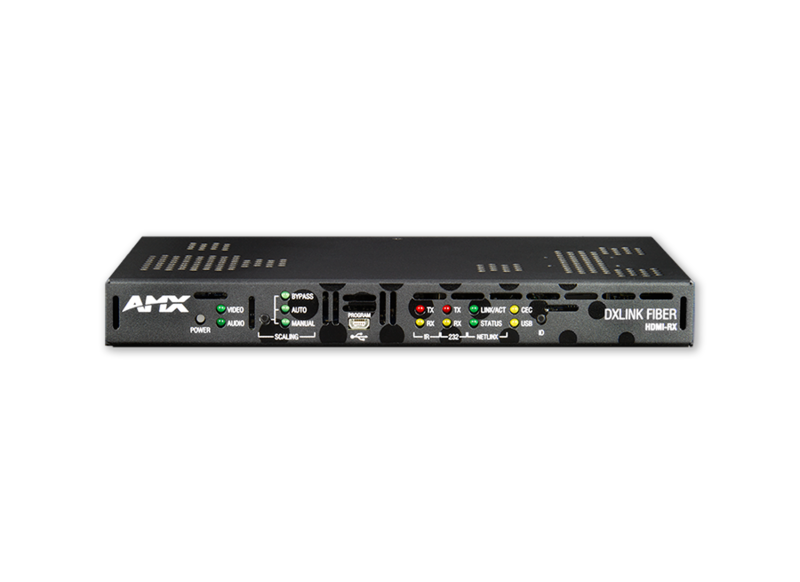 Plus monitor the connected display's settings, and send IR control signals to the Enova DGX Digital Media Switcher with integrated NetLinx® control back to the source device. The ideal solution for any destination display or projector designed into an Enova DGX integrated system that requires the distance capabilities and inherent security of fiber – or both; including campus-wide distribution of sources that are shared between classrooms, secure military applications, casinos, arenas and museums. Directly connect LCDs, plasmas and projectors using the HDMI output connection while delivering room audio via the stereo audio output.